Being a Man in Nigeria Report .:NWTF:. 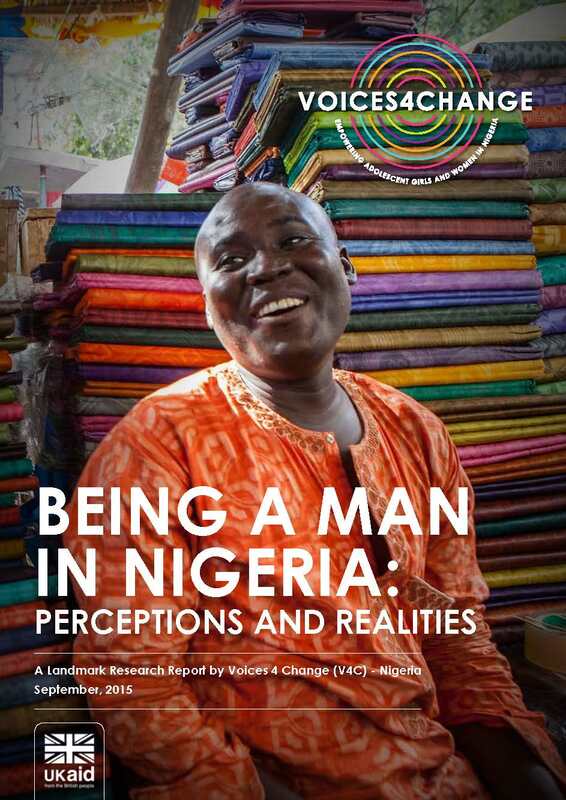 This section focuses on perceptions of what it means to be a man or a woman in Nigeria. It also covers the extent to which different facets of dominant stereotypes are subscribed to, and how they underpin perceptions of men and women’s roles and relationships. Ideas regarding men and women and their roles in society are not necessarily fixed or universal, and to some degree have adapted to accommodate changes in women and men’s behaviour. In Nigeria there are significant minority (and on some issues majority) voices that do not subscribe to the dominant cultural ‘ideal’. Differences in perceptions between regional, religious, gender, and age differences are discussed, where possible, throughout the report.